We can apply the very same principle in our social media content - this too can be reused and recycled, offering you market sustainability. If you have many blog posts under your belt, you have all the featured information you need for repurposing your content into several other formats that can be shared on a variety of different social media platforms. Repurposing gives your content a second lease on life. It’s like taking an empty container and turning it into a bird feeder. You take something that was once successful in its own way, tweak it creatively, and present it in a new way that will reach a different crowd. Not everyone enjoys reading, so your splendid blog may lie dormant and unappreciated. However, were you to take that self-same blog and scrutinize it for a few quote-worthy gems; you could transform them into Facebook or Twitter posts. Add a graphic and you have something suitable for Pinterest. Plus we all know that a great image attracts more immediate attention than even the most cleverly crafted blog. Include a link back to the original blog post and “voila”! New traffic. Many people have an aversion to reposting old content. The truth is if your business is growing, and your social media accounts are gaining new followers, and if the content is evergreen and relevant, then reposting an older blog will reach new readers and re-introduce some excellent content. “The measure of intelligence is the ability to change.” Albert Einstein. To keep up with the times and provide content that will engage today’s consumer, you need to look as far as your well-written blogs. Repurposing content for social media platforms is as easy as seek, find, recycle, reintroduce. By revising your best blogs and sharing them on different social media platforms, you are serving your content to a diverse group of people who enjoy a variety of input methods apart from reading. Working with graphics may seem daunting, but once you see how effectively you can make a statement using more images and less text, you will realize it was well worth the trouble of acquiring the skill. Whichever methods of repurposing content you choose, always remember to present a link back to the original. 1. 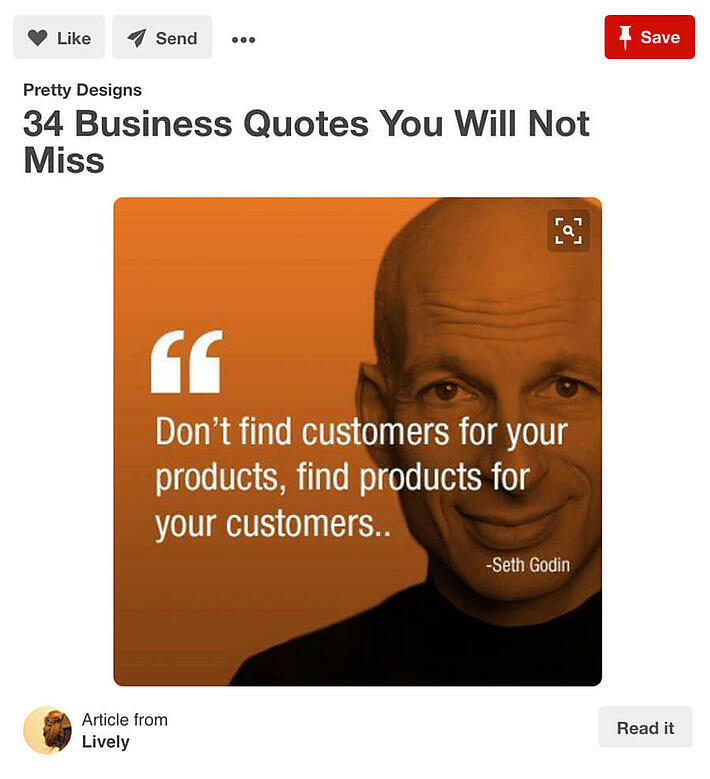 Turn your blog quote into a Facebook or Pinterest post. Facebook posts are best left short and to the point. Adding an image, or perhaps designing the quote as a picture, will attract attention. Choose images that support your content. Pinterest is visual. Explore and experiment with text color and the shape and size of your images. Infographics perform well on Pinterest. 2. Create a SlideShare from an infographic. SlideShare is the place to present content that is more comprehensive. To create your SlideShare, take your blog outline or bullet points, convert them into pages, add images and you have repurposed your content. The SlideShare community will provide you with new traffic to your existing content and your various social media accounts. We can also convert webinars into a SlideShare. But obviously, more work is needed. You can contact us if you need help. 3. Upgrade your user-guide to a YouTube tutorial. Take visual marketing seriously – it is a champion contender. YouTube can send leads steadily to marketers who use it as a social marketing platform. We can transform step-by-step guides and how-to articles into video content. By adding music and a few basic animations, you can upgrade your SlideShare to a video suitable for YouTube. A different idea for YouTube content could be a down-to-earth video of someone reading an interesting portion of your chosen blog post. Read, for example, three of your “Top Ten such-and such”, and then have them encourage viewers to find the post on your blog site or website for the rest of the “Top Ten” information. 4. Turn over Twitter posts using statistics, reports and studies. Studies have shown that the tweets that are retweeted most often are those that have an image attached. It is a great marketing idea to recycle your content using pictures and graphics. Twitter is one of the simplest places to present repurposed content. 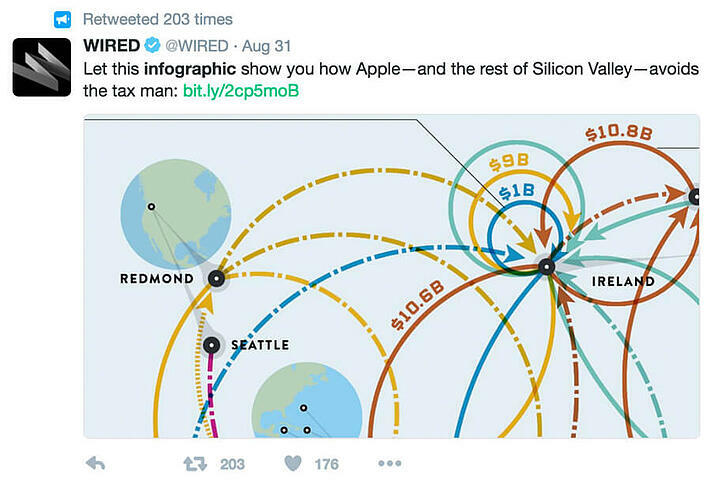 To make your tweet more efficient, upload the graphic using the link to the actual post in your tweet. This will escalate the number of times the post is retweeted. 5. Allow your blog to fly as a webinar or podcast. Turning your greatest blogs into videos will enable viewers to assimilate your content as an entirely new medium. Webinars are simply video workshops that are transmitted over the web. They are interactive and real-time. Podcasts are also gaining popularity as a means of sharing content with internet users. Your best blogs can be recorded, transformed into a podcast, and transmitted to the world. LinkedIn is the world's largest professional network, connecting people to make them more productive and fruitful. Repurpose your best blogs with LinkedIn Pulse. Summarize your post, highlight relevant information and get more visibility in a professional and marketable context. Medium.com is the new "kid" in the world of blogging.Even though its age is relatively new (launched in 2012), its coverage is undoubtedly crazy large! 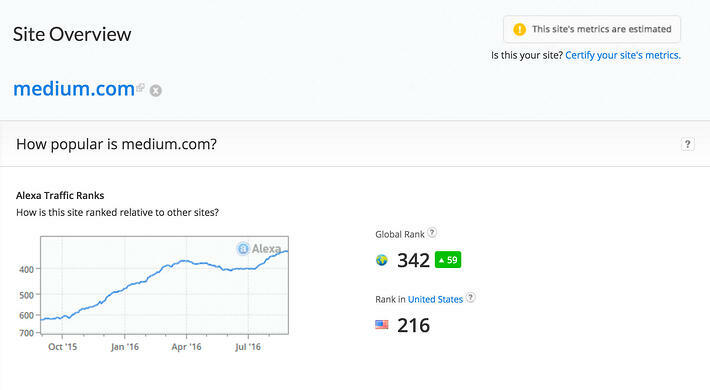 According to Alexa.com, Medium.com is currently the 342th website with the highest traffic on Earth. Most its visitors come from the United States (34.2%), India (11.4%), and United Kingdom (6%). It's always a good idea to spread the reach of your blog post. So, why not repost it on Medium.com? If your website is using WordPress, good news is Medium has already developed a plugin that will let you publish blog posts automatically to your Medium profile. One thing to always remember when reposting your blog posts to another site is to make sure that your blog posts are ALREADY indexed on Google. NEVER republish posts that are not indexed yet, it's called suicide. The second thing do is to present a link back to your original blog posts; this will tell search engines, especially Google, that the original post is on your main website. If all this talk of graphics, images, audio, video, tweaking and repurposing is making you anxious, you have no need to worry. If by any chance, you lack the skills required to transform your blog into something other than what you originally intended, thousands of creative freelancers out there can help you renovate your content and make the transition into recycling your blogs innovative and resourceful. We, GiantFocal can also help you to repurpose your old content into social media trend worthy. Once written and read, archived blogs do not have to be a thing of the past. 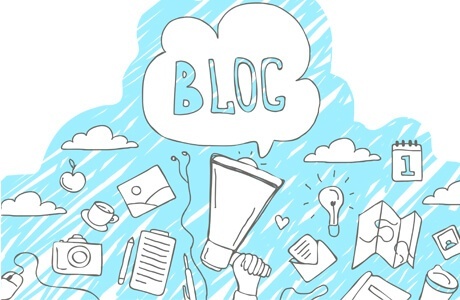 We know that some blogs take hours of planning and inspired writing; some blogs are a real hit with readers, and others have evergreen content that stays relative. After all the time and effort that went into creating the original content, why not put in a little extra effort and repurpose that terrific content for other social media platforms?